You are here: Home / Latest Articles / Guardians / Environment / Technology – A New God? Technology – A New God? Research at present being carried out shows that technological progress did not necessarily involve pollution or the use of un-renewable natural resources. We live today in a period of history that is often termed a technological age. Every aspect of the alliance is touched by this technology and we see the results of its unrestricted developments in the pollution and relentless exploitation of the year of substance which threaten to bring about the collapse of civilisation. With this run away eruption of machine technology we have witnessed over the past three decades the growth of factory farming and agribusiness; the development of computer Science; and a vast expansion of the nuclear industry as a means of generating electricity and as the producer of a weapons system, both aspects carrying enormous potential for destruction. We have reached a point where “the great machine” appears to have taken over, where the machines seems to be all-powerful and human beings mere attendants who run in its train, cleaning up after it, pushing its buttons and consuming its sweet poisons via a supermarket or the mass media. In such a situation the citizen of the “great city” begins to see technology as all existence. His life is experienced, not directly, but for the machines. It is his whole world and seems almighty. He begins to worship it as a god, the very giver of life, or to fear it as a monster of destruction. We hear of conflicting cries raised: “technology is the saviour of mankind! Progress to the stars!” “Technology is evil! It is the destroyer of the earth! Away with it-back to the land!” and here we must pause and examine our frames of reference because both these points of view are valid and, in a strange way, when looked at from a different perspective they do not contradict each other. What is technology? The answer rises to the lips, almost as a reconditioned reflex, that technology is computers, robots, spaceships, atomic reactors. And yet this is not the real meaning of the term. These scientific gimmicks or not technology but its product, and if they are destructive it is the idea behind them which destroys. Technology can be defined in descriptive American phrase “know-how”. Technology is the numerous ways and means used by man (and other beings-ants, for instance) to manipulate matter. The woman who sits down with two sticks and a mile or so of yarn produces a work of art in the form of an Arran sweater and is as much a technologist as a member of the team of scientists who by manipulating different materials produces the makings of an atomic bomb. Technology is method, steel and motivation and of these it is the last which will determine whether its results will be malignant or benign. It can scarcely be gainsaid, even by the most obsessed devotees of scientific progress, that the result of present-day technology are highly detrimental to the earth. To such worshippers of science, however, the threat to the earth is a mere technological problem which can be solved by the application of intellect. The solution is seen not in an effort to return to a state of harmony with the great ecological system which is life on earth, but in ways and means to preserve human life any cost. So we see schemes to house millions underground in artificial caverns, plans for colonisation of the ocean deeps, of the Moon, of Mars-as if the human races were groups set apart from nature. “So we make a trash heap of this planet-so what? We will just move on to Mars”. There is a rising tide of awareness today which sees the blindness and stupidity of this attitude, and groups forming resistance to it. Yet it is still the attitude of orthodox science. Still the blinkered specialists concoct their poisons. Still the juggernaut of mechanical finesse flattens the rain forests. Steel this Science blindly strives to overcome the floods, droughts, famines and epidemics which its own practice has called forth, as a reaction from embattled nature which endeavours to recreate balance and order on the earth. Where did it come from, this idea that human beings have a right to exploit, mutilate and despise the earth? From what source is derived the patently absurd notion that man can live somehow apart from nature? It is not an idea which grows naturally from the folk soul of any race whose heritage embodies the concept of nature as divine and which has the respect for its own identity. Look where you will in the mythologies of all the diverse races of man and you will find a love for and a worship of the earth and the realisation of the unity of all earth life. This is as true for the Hindus, the Amerinds and the Zulus as it was for our own Germanic ancestors and still is today for us who hold to their ancient ways. In the doctrines of Judeo-Christianity, however, the underlying concept is very different. This universal religion, in all its forms, is not an natural outgrowth from the collective unconscious of any natural or racial organism but is an artificial concept. It proclaims that far from being an integral part of nature and subject to nature’s laws man has been created to have Dominion over the earth; that the substance of this planet and all her myriad life-forms are there for the benefit of mankind to exploit and ravage as they will. It is this cultural background which has produced a mentality that can envisage the earth as a ball of mud and see no moral dilemma in turning this ball of mud into a slagheap. It has led to uncontrolled exploitation by those powers of greed who control our civilisation on a global basis. We see in our time the popular reaction away from this sinister and obtuse attitude, towards a greater awareness of true reality, and yet it is strange that many so-called “new-age” thinkers are unable to shake off their attachment to Christianity. Rather than look at the evils of this doctrine they will declare that the exploitation of the earth began with the development of agriculture, thereby implying that all technology is evil. Yet all the techniques of settled life – not only the growing and meaning of grain but spinning, weaving, the Potter’s art, home building, etc – have as their basis the use of natural products from the earth. Then, too, the hunting and gathering peoples reap the Earth’s Harvest though they may not sow the seeds and all life forms makes use of the Earth’s bounty. It is a lot of nature that life nourishes life although this has been distorted by the Judo Christian rationalism into “nature red in tooth and claw”. The development of agriculture is not of necessity a spoilation of the earth. Planting seeds in gathering the harvest are fully natural processes if they are carried out as part of the natural cycle of growth, with reverence for the gifts of the Earth’s abundance and the love of the land. Is this technology in harmony with the earth and the laws of nature? Is this process of benefit to the people of our folk (the latter being seen as an organic part of nature)? If we cannot answer yes to both questions we should reject the technique of process. To us scientific progress is very much a moral issue. We cannot accept that attitude which demands as a right the acquisition of knowledge for its own sake or to obtain financial gain despite the cruelty and destruction involved in the gaining of this knowledge or the devastation which may result from its use once the knowledge is acquired. Technological progress does not of necessity involve either pollution or the use of non-renewable natural resources. Research at present being carried out into alternatives technology shows is plainly enough. So too we see the phenomena of well-tried inventions, well proven methods of producing clean and cheap energy, being deliberately suppressed by multinational corporations because these methods pose a threat to their profits and their monopoly of energy production. One such example is the patents of Viktor Schaunberger, stolen from him at the end of World War two and now mouldering in the vaults (or computer storage) of a giant multinational corporation. These processes could not only give us boon so clean it energy, but the prospect of a non-polluting source of power great enough to take us into space. Working and researching into the powers and potential of natural “living” water in Germany of the 1930s Schaunberger’s technology was based on the precept that the generation of energy should not oppose but harmonise with the forces of nature. 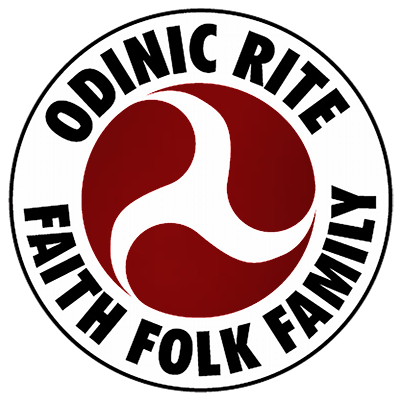 As Odinists we must also keep in mind the fact that we see our religion as part of every aspect of our lives. We do not set religion apart from scientific research or technological progress but carry both our spiritual awareness and our organic world outlook forward into whatever we undertake. Our world outlook is not confined to the material world of mid-Garth but encompasses this concept of the multi-verse, and this concept must be taken into consideration when we attempt to either undertake technological research or evaluate the research of others. Any research which attempts to limit itself to the physical and world of Midgarth is of necessity working with insufficient data. In addition to the scientific method we must use the more advanced techniques of controlled meditation, intuitive thought and a conscious manipulation of the wider reality experienced in the “dream state”. Once we have rejected the doctrines and attitudes of Judeo-Christianity we must reject the anti-life processes and anti-spiritual dogmas that grow from them. This in no way implies a rejection of technology as such. If we are to live we must use technology. But it must be a technology that is compatible with the laws of nature and our religious principles and which furthers our racial destiny.